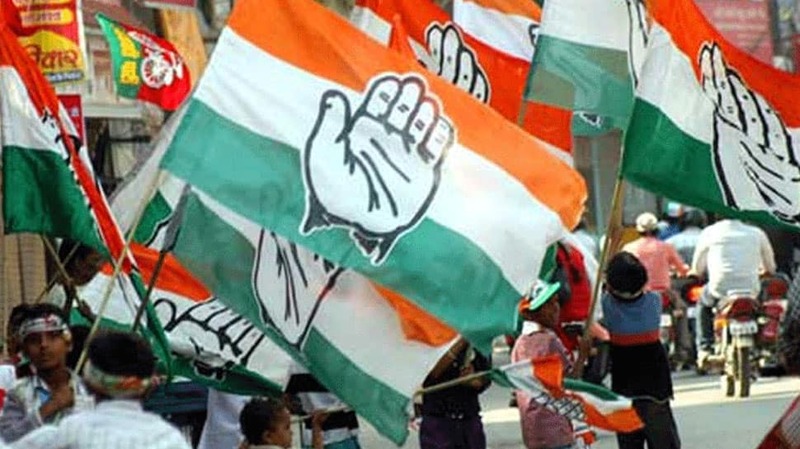 The Congress party on Wednesday realeased a list of three candidates from two states–Madhya Pradesh and Uttar Pardesh, for the Lok Sabha election. The party fielded Pankaj Sanghvi from Madhya Pradesh’s Indore parliamentary constituency. Acharya Pramod Krishnam and Vinay Kumar Pandey have been fielded from Lucknow and Kaiserganj parliamentary constituency. With Wednesday’s list, the party has announced a total of 407 candidates for the Lok Sabha election. The party on April 13 had released a list of 18 candidates from three states for the election. The party’s Central Election Committee (CEC) announced the list consisting of nine candidates from Uttar Pradesh, six candidates from Haryana and three candidates from Madhya Pradesh for the general election, the first phase of which concluded on Thursday. From Haryana, the Congress fielded Selja from Ambala-SC constituency, Ashok Tanwar from Sirsa-SC constituency, Deepender Singh Hooda from Rohtak constituency, Shruti Chaudhary from Bhiwani-Mahendragarh constituency, Capt. Ajay Singh Yadav from Gurgaon constituency, and Lalit Nagar from Faridabad constituency. The party fielded RK Chaudhary from Uttar Pradesh’s Mohanlalganj-SC constituency replacing Ramashankar Bhargava, Ummed Singh Nishad has been fielded from the Ambedkar Nagar constituency, Krishna Patel from the Gonda constituency, Raj Kishore Singh from the Basti constituency, Rajesh Mishra from the Salempur constituency, Devvrata Mishra from the Jaunpur constituency, Ajit Pratap Kushwah from the Ghazipur constituency, Shiv Kanya Kushwah from Chandauli constituency, and Rama Kant Yadav from Bhadohi constituency. From Madhya Pradesh, the party has fielded Dewasish Jararia from Bhind-SC constituency, Ashok Singh from the Gwalior constituency, and Dinesh Girwal from the Dhar-ST constituency.